A month after the Minsk agreement the masks are off. New weapons are coming, American instructors are in Ukraine, the IMF credit is approved. Time to get back to killing the kids of Donbass. Where are the sanctions on Kiev? Did anyone have any doubts that those who chose bombs instead of talks a year ago will flip and turn into peacemakers? There is no other choice in the alternate reality perpetuated by the Ukrainian media. There is no other choice for the ultra-nationalist Kiev government, like there was no choice for Hitler. It has to follow the program. They only understand the language of force. 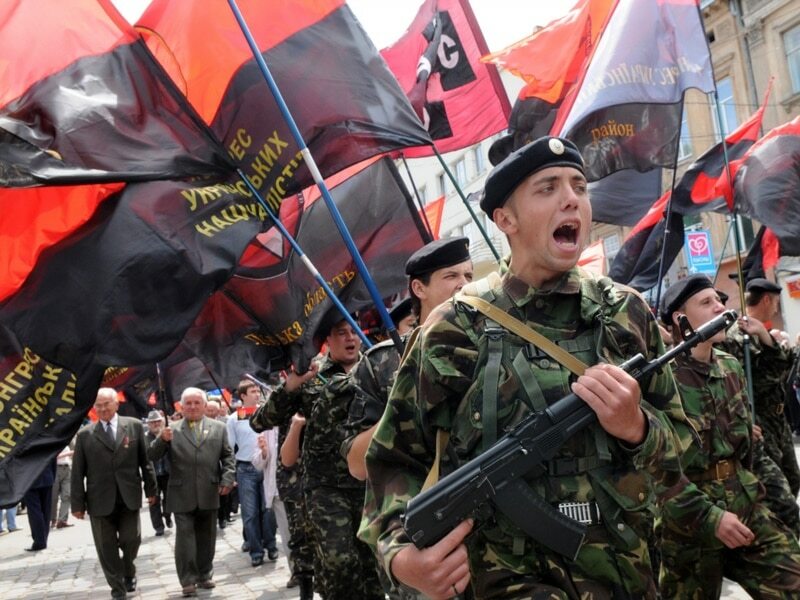 Only when Novorossia forces enter Kiev will anything change. The only reason they paused the war is because they were annihilated, and couldn’t physically go on. But that’s no longer a problem, thanks to the Americans, who can’t wait to start killing the Russians. Will Europe open its eyes and realize what monster they helped create? The Verkhovna Rada after a day of backroom negotiations on Tuesday night voted in favor of a resolution on Donbass. In fact, the documents violate the Minsk agreement. Firstly, the Ukrainian side has already failed the deadline for the adoption of laws. Secondly, MPs rejected the dialogue between Kiev and DPR and LPR, declaring the Republics – “occupied territories”. Thirdly, the Ukrainian Parliament appealed to the UN Security Council with a proposal for the deployment of a peacekeeping mission, which is opposed by the militia. Moreover, the representatives of Peter Poroshenko had promised that the army will eventually bring Ukrainian order to Donetsk and Lugansk. “We can negotiate only when Donetsk and Luhansk oblasts hold elections under the full control of the Ukrainian government – not under the supervision of the Yakut tanks and Chechen snipers. It is therefore not surprising that since the morning the leaders of the terrorist groups are screaming that these laws undermine the negotiations,” – declared Deputy Speaker Andrey Paruby. He was supported by the MP-commander Andrew Teteryuk. According to him, Kiev will agree to the elections in Donetsk and Luhansk, only when “all the fighters, all equipment, all Russian mercenaries leave the territory, and the process of renewal of life on our Ukrainian lands will begin”. The only one who tried to protest, was the deputy Yuriy Voropayev from the Opposition Bloc. “These laws ask one side to capitulate, and only after that projects that provide special conditions will be considered. More precisely, these are just instructions for the Cabinet of Ministers to prepare special conditions. We cannot vote on this bill, it will reject the peace,” – said Voropaev. “What party do you represent in the Parliament? The other side are Putin’s occupants! The occupier will be forced to capitulate, or will be destroyed by the Ukrainian army! Don’t listen to the militants, the State Duma, don’t be afraid to vote for Ukraine!” – said Paruby. “No special status or authority, not provided for in the Constitution,” – confirmed speaker Vladimir Groysman. According to him, the task now for the Ukrainian side is “to free from the clutches of the aggressor, the aggressor and terrorist,” Donetsk and Lugansk. “These laws are not for Putin, not for Europe or America, but for Ukraine and its future. They lead not to the battle for the ruins of our land, but to a future resumption of sovereignty on the territory that is temporarily controlled by the rebels and the Russian army. 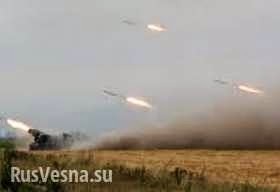 They provide the possibility of elections then and only then, when the Ukrainian army and the Ukrainian state will bring the Ukrainian flag, the Ukrainian parties and laws to this territory, when there will be Ukrainian parties, the police, the CEC. The laws do not give any concessions to the terrorists,” – said the deputy Yury Lutsenko, the head of the faction of the Poroshenko Bloc. Oleg Lyashko and Yulia Tymoshenko stated that they will not even vote for the laws in this form. “They propose to implement what was signed in Minsk… Read the Minsk agreement: “until the end of 2015 – the establishment of a special status for Donbass”! Crimea already had a special status!” said Lyashko. The vote in the Verkhovnaya Rada has already received a sharp reaction from Moscow. Russian political analyst Alexey Chesnakov stated that Peter Poroshenko violated the Minsk agreement. “Today in Parliament – another circus. Poroshenko and company are playing that part of the coalition does not want to vote for a resolution defining the boundaries of special areas. Blatantly lying, in order to then lie to the Germans, the French and us, that the voting was difficult and their option is the maximum, that can be achieved from the Rada”, – said the expert. KR: The Rada had no problem voting for population-reducing budget after five attempts, so have no doubt – if they vote like this it’s because they have the green light from the puppet-masters. Don’t have any illusions – they will blame the resumption of the war on DPR and LPR. who was appointed to be the regional governor in that area by Yulia Tymoshenko, the Ukrainian Presidential candidate that the Obama Administration has apparently been hoping will win the May 25th election to take over the Ukrainian Government, from the junta that the Obama Administration imposed in Ukraine on February 22nd. Just weeks before this coup, on February 4th, the U.S. Assistant Secretary of State for Europe and Asia, Victoria Nuland, chose Tymoshenko’s ally Arseni Yatsenyuk to head the post-coup interim government, which appointed Kolomoyskyi. 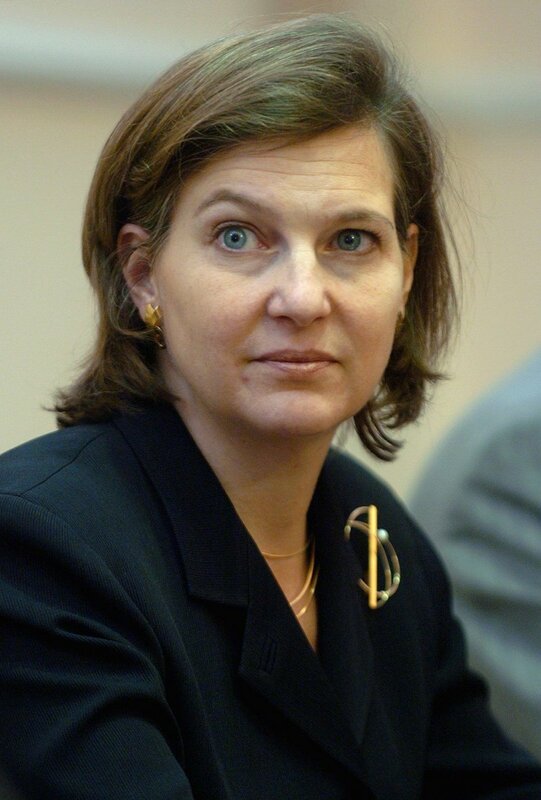 Only a few months before this coup, Nuland had asserted that U.S. taxpayers had already invested more than $5 billion, in order to bring “democracy” to Ukraine, by which she was referring to the U.S. effort to oust the Russian-oriented, democratically elected, leader of Ukraine, President Viktor Yanukovych, who had prosecuted and imprisoned Tymoshenko for embezzlement and abuse of governmental office. Tymoshenko was then on 11 October 2011 sentenced to seven years in prison, and was ordered to pay the government restitution of $188 million. She was released from prison less than three years later, two days after the coup, on 24 February 2014. The Ukrainian criminal code was immediately changed, in order to legalize the actions for which Tymoshenko had been imprisoned. This allowed Tymoshenko to run for the Ukrainian Presidency. She had been Prime Minister 2007-2010. Both she and her husband, Oleksandr Tymoshenko, and his father, all three of whom were on the board of United Energy Systems of Ukraine (and thus Ms. Tymoshenko was called “the gas princess”), have been legally prosecuted as embezzling state funds; but so have most of Ukraine’s oligarchs and political leaders (and there’s a lot of crossover between those two categories). For example, in one such case, a Ukrainian oligarch who lives in London, Victor Pinchuk (whose fortune is around $4 billion), is suing Kolomoyskyi by alleging him to have sold him a company, “KZhRK,” for $143 million, and then to have re-seized it from him by force of arms. As is usual (since virtually all of Ukraine’s oligarchs had become oligarchs from the privatizations, or sell-offs of government assets, which accompanied Ukraine’s abandonment of communism), this case hinges on verbal testimony, and the various parties to the case contradict each other. 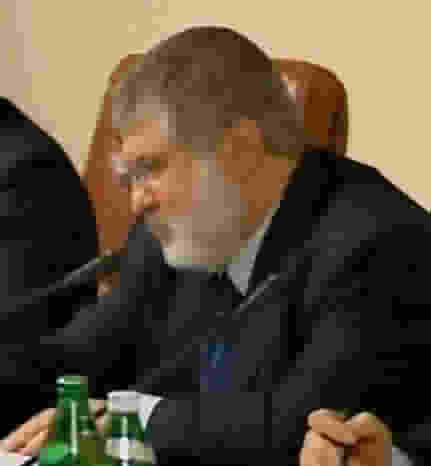 Kolomoyskyi is well known for taking over corporations through his team entering with guns drawn. Pinchuk claims that when Kolomoyskyi did that here, Pinchuk nonetheless, somehow, managed to get Kolomoyskyi to restore Pinchuk to control, but that Pinchuk later discovered “it appears that they may have sold approximately 50% of KZhRK to a third party in 2007″; so, Pinchuk filed suit against Kolomoyskyi, in London, on this murky case. That could be very rich indeed. On 26 August 2012, the Anticorruption Action Center had headlined “Kings of Ukrainian Gas,” and reported that the chief of the Zasyadko gas mine had requested President Viktor Yanukovych to privatize the mine, and Yanukovych responded, “Put the gas deposits in your name, and hand half of them over to Oleksandr [Yanukovych’s son]. Then we’ll give you the mine.” So: “On November 19, 2010, the State Property Fund of Ukraine approves Order No.1710 on the privatization of the O.F. Zasyadko mine. A month later, on December 22, 2010, the government approves a decision to hand nine oil and gas fields in Eastern Ukraine to the Zasyadko mine without organizing tenders. … And the mine then transferred four of them to Inter-Regional Gas Company LLC in Donetsk in 2011.” Then, “In May this year, Inter-Regional Gas Company LLC received the Baranykivska field free-of-charge from the Luhansk Regional Council for exploration and extraction of gas. According to our sources, the company, closely associated with Oleksandr Yanukovych, will soon get five more licenses.” So, Yanukovych’s son was set to become an oligarch. But, “In fact, the tastiest and largest morsels (gas fields) were obtained not by the president’s son, but by a more experienced businessman – Ihor Kolomoisky.” A certain Mr. “Zlochevsky, former Minister of Environment and Natural Resources,” had set up “a Cypriot company – Burisma Holdings Limited,” and placed in it “the largest Ukrainian gas field – Sakhalinska,” owned by an entity, “Ukrnaftoburinnya,” and, in turn, “Ukrnaftoburinnya is owned by a Cypriot company, Deripon Commercial Ltd.” But, “In fact, the end owner of Deripon Commercial Ltd. is a company based in the British Virgin Islands – Burrad Financial Corp. 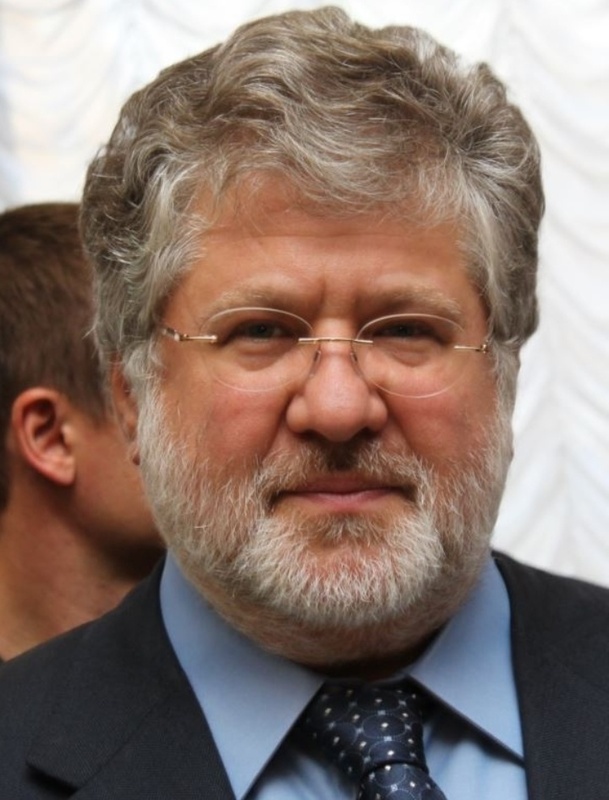 This company has often been involved in various financial schemes of the Privat Group and especially with Ihor Kolomoisky.” In fact, “The Privat Group is the immediate owner” of the entire group of gas companies, including Burisma Holdings. So: Hunter Biden is now an employee of, and co-board-member with, the man who masterminded and oversaw the May 2nd massacre in Odessa. And what will result if this operation fails? Two failed states: one half of the former Ukraine pro-“Western”; the other half of it dependent upon Russia, and perhaps a nuclear war being the ultimate outcome (which would be especially likely if this operation succeeds, because its success would surround Russia with nuclear-armed enemies, which would be intolerable for Russia). The events in Ukraine since November 2013 are so astonishing as almost to defy belief.An legitimately-elected (said by all international monitors) Ukrainian President, Viktor Yanukovich, has been driven from office, forced to flee as a war criminal after more than three months of violent protest and terrorist killings by so-called opposition.